I was sitting in the new Auris thinking just how much Toyota has upped its interior design game when I realised that I had to compare it to the latest Golf to properly evaluate just how far the car has come. So I organised a Golf 7 to test. Is the Auris interior as good as that of the Golf 7? Well, yes and no. I still prefer the materials, layout, clever juxtaposing of finish and feel of the Golf, but it all comes at a price. To match the appointment and equipment level of the well-equipped as standard Auris, you need to spend quite a bundle. The result of my interior comparison is clear. On value for money, the Auris wins easily. But the Golf still has a little edge in terms of overall feel. Moving on to the ride; it quickly becomes evident that the handling qualities of the two cars and the results are similar. The Toyota has improved massively and is now similar to the Golf in performance, but the VW is still more of a driver’s car. It’s just a little sportier. Both are a pleasure to drive and handle very well. The Auris’s days of labouring behind the Golf are gone. The Golf 1.4 TSI accelerates from 0 to 100km/h in a claimed 9.3 seconds and has a top speed of 203km/h. The “little” 1.4 produces 90kW and 200Nm. The Auris 1.6 develops 97kW and 160Nm to take it to 100km/h in a claimed 10.8 seconds and to a top speed of 195km/h. They consume pretty much the same in everyday use. 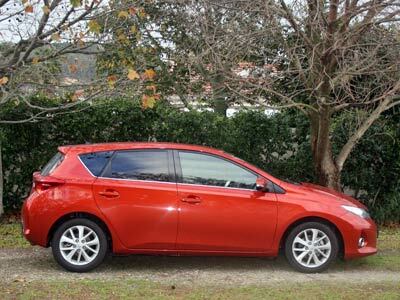 The Auris should give you well under 7 litres per 100km without too much trouble. I got 6.5 litres per 100km in the Golf, driving conservatively. In town, however, it goes up quite rapidly to around 7 litres per 100km. On the highway you can get under 6L/100km, though. Thus, even the fuel consumption is a close match. Both cars sport all the safety kit you would expect from top level C segment cars. But the build quality of the Auris appears to have a slight edge on the Golf. The price comparison is interesting. 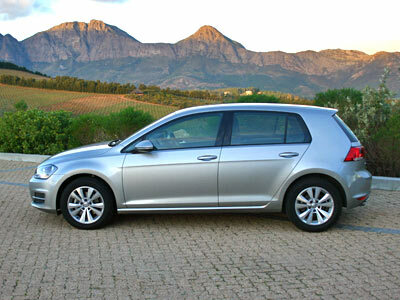 The basic price of the VW Golf 1.4 TSI is R269 500. The car I tested had R6 000 worth of optional extras. The Toyota Auris 1.6 XR costs R253 200, but has a full house of equipment as standard. Both cars come with a five-year or 90 000km service plan and three-year or 100 000km warranty, the Golf to 120 000km. There is at least a R20 000 price difference between the two cars. The Auris is much better equipped as standard. My advice would be to test them both if you’re shopping in this segment. First published in Your Business magazine. 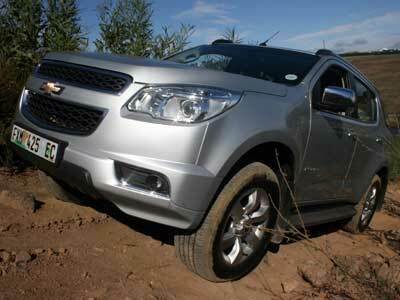 The question is: Is the Trailblazer as good as, or better than the Fortuner? It is certainly very capable and comfortable. A pleasure to drive. The Chevrolet Trailblazer 2.8D 4×4 LTZ is big, she’s bold and has a huge GM bowtie on the grill. Chuck Morris’s SUV. 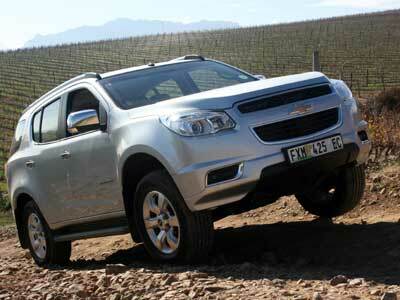 The ‘blazer is basically built on a shortened new Isuzu KB chassis so remains a bakkie at heart. She even sounds like an Isuzu bakkie, but of course has a completely new engine. The Trailblazer has the power and torque for towing big caravans and boats. And going straight over mountains if needed.132kW @ 3800rpm and 470Nm @ 2 000rpm. Space for seven , with three rows, or fold the seats down and load a few bikes. The third row seats fold flat into the floor creating a cavernous “boot”. Although a big car she is easy to drive and park. The Trailblazer has space, and uses space cleverly. The cabin gives the impression of airy room, partially a result of the light trim used for the seats and most interior surfaces. GM claims there are 11 cup holders. I believe them. There is ample headroom and space for your legs and shoulders. It has a very uncluttered look. There are quite a few power points scattered around the cabin. The third row of seats are easy to use and work really well. They fold completely flat when not in use. 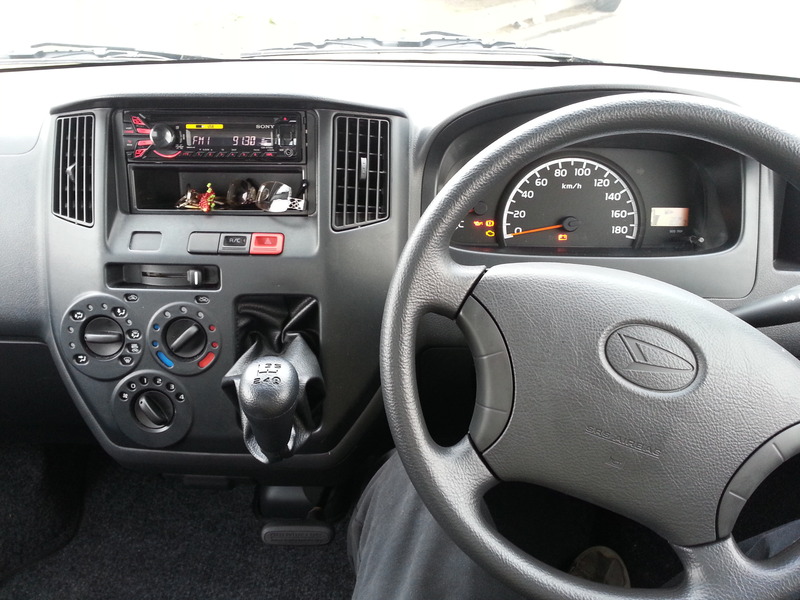 The steering wheel is great to use with cruise control on the right and audio controls on the left. The second and third row of seats also get aircon, a nice touch. She looks a lot like a Fortuner on steroids. Big and bold. I like the lines. This is one big SUV that is a joy to drive. On jeep trails the Trailblazer comes into its own. It has the grunt, the gears and the go to keep going. I tested it on the Helderberg 4×4 Trail just outside Somerset West. It passed with flying colours. The ‘blazer comes as standard with highway orientated tyres, so if you are going to spend time in the bundu it is recommended you get A/T tyres. The very light leather upholstery looks great when new but I am not sure it will wear well if used for off-roading. The biggest niggle for me is the lack of diff lock. The bonnet is quite long when driving on 4×4 trials. You can’t see the trail directly in front of the vehicle. 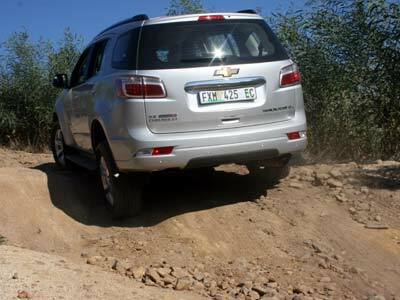 The Trailblazer has loads of usable power and is very easy to drive. 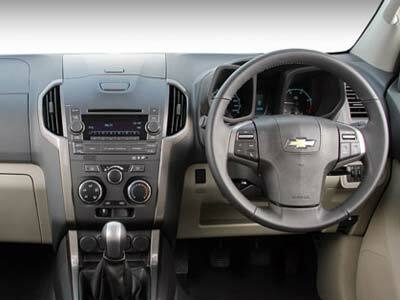 The Chevrolet Blazer is going to give the Fortuner a bit of a run for its money. It feels more stable on gravel roads, a weak point of the Fortuner. In many ways it improves on the Toyota. 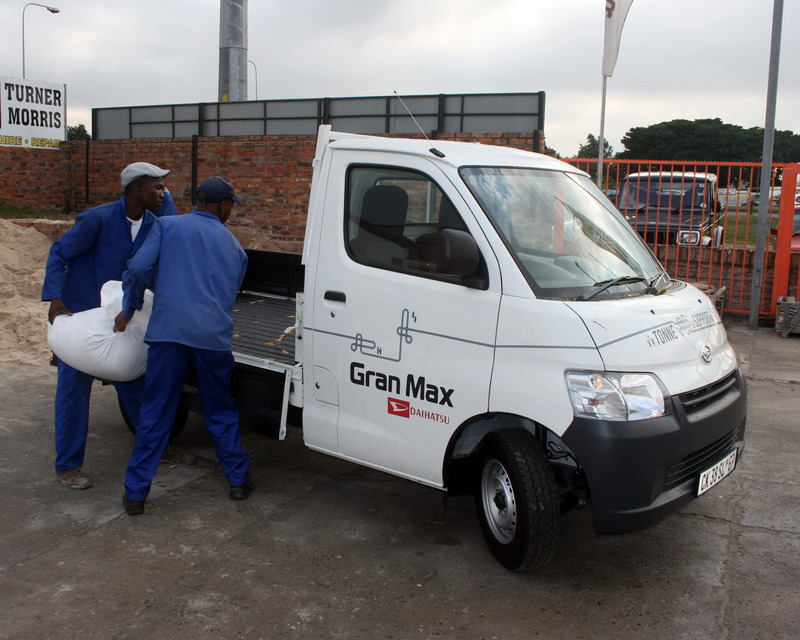 The Gran Max is a very different workhorse 1 ton bakkie designed for urban use. 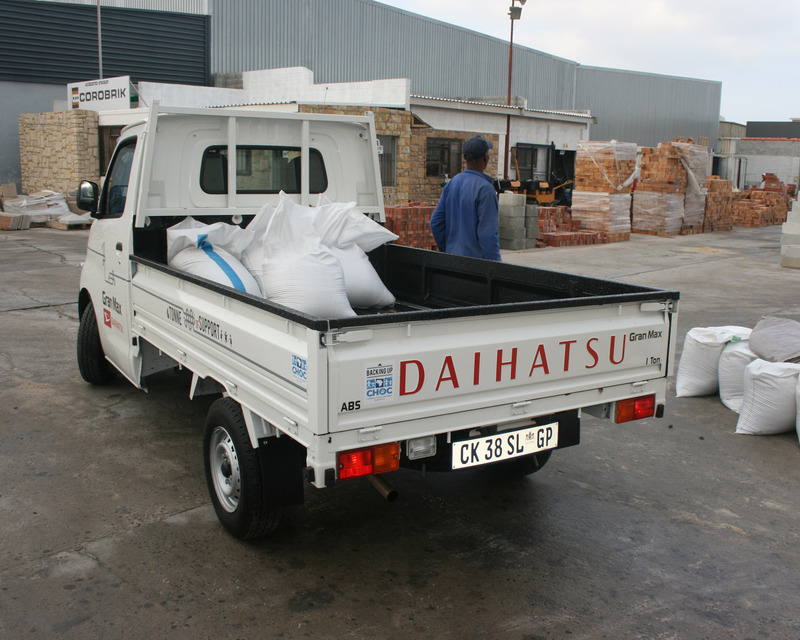 For the price of a half ton bakkie you get a full ton. Its cab forward design maximises the available load area, while still offering a spacious cabin with seating for up to three occupants. The load bed is 2,4 m long and 1,6 m wide, creating a flat-floored cargo area of more than 3,7m². With a full one-ton carrying capacity, and drop sides around the cargo area, the Gran Max offers really easy loading. A low load height of just 720 mm makes loading easy, while a turning circle of 10m allows exceptional maneuverability around town. It is a town bakkie, not meant for the long road. Functionality and utility are core for this light truck. The raised cabin and generous glass areas ensure exceptional visibility, while the seating combines a two-seater bench for passengers with an independently adjustable driver seat. The seats get a little uncomfortable after a while. The gear lever is located in the dashboard, close to the steering wheel, freeing up further legroom and ensuring that the Gran Max can accommodate three occupants. But not much else. There is no spare space in the cabin. The 1.5 L Dynamic Variable Valve Timing engine develops 76kW and 134Nm at just over 3 000rpm. Fuel consumption of around 7,7 litres/100 km can be expected. There is a slightly higher spec model for an extra R10 000 which adds dual front airbags to the safety equipment list, together with air-conditioning. Retail price is R139 995. The price includes a three-year/100 000 km warranty.